Use cutting-edge ideas to create real-world revenue. Gwenllian Thomas gained invaluable experience managing successful popular music student, Demi Marriner whose debut EP entered the iTunes Country Album chart at number one whilst still at university. 'Demi and I worked together during the Amsterdam tour and we were successful in getting two stations to play Demi's music and promote her music. I also researched some open mic nights and had Demi invited to one where the house band liked her so much they got on stage to perform with her after she finished her solo set. I organised for Demi to busk and I was handing out flyers to promote her gig. On the evening, I made sure Demi turned up to sound check on time and was all set before her performance. From student professional to career professional. From one-off shows to big music festivals, you will develop and launch music products and artists. Our students run their own tour in Europe, performing to music fans in cities across the continent. Work closely with other media students managing projects such as BBC Introducing sessions. Modern studios, media suites and broadcast theatres. Housed in our fully-equipped Media Centre you will have access to production and design labs, recording and edit-rooms, broadcast and screening theatres. You will have the opportunity to get hands on experience on how television, film, radio and music are made. 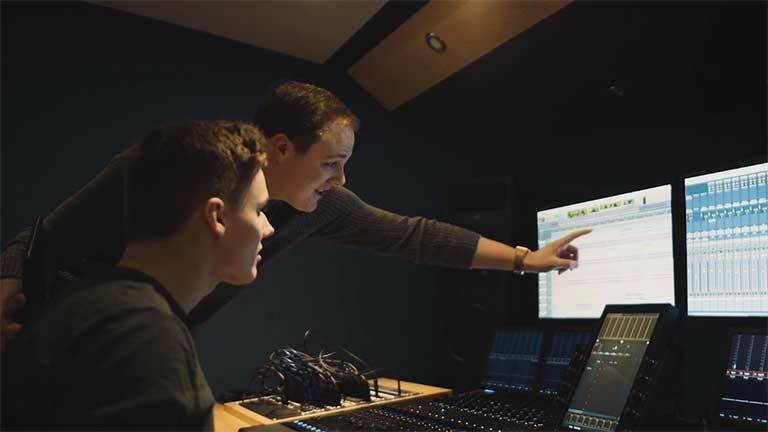 Work with producers and artists and use our leading-edge technologies to develop a broad range of skills ready for a career in music business. Tom uses his experience and connections to bring you the latest in current industry practice. He uses his experience managing a record label to teach on label and rights management, music technology and more. View School of Media staff profiles. 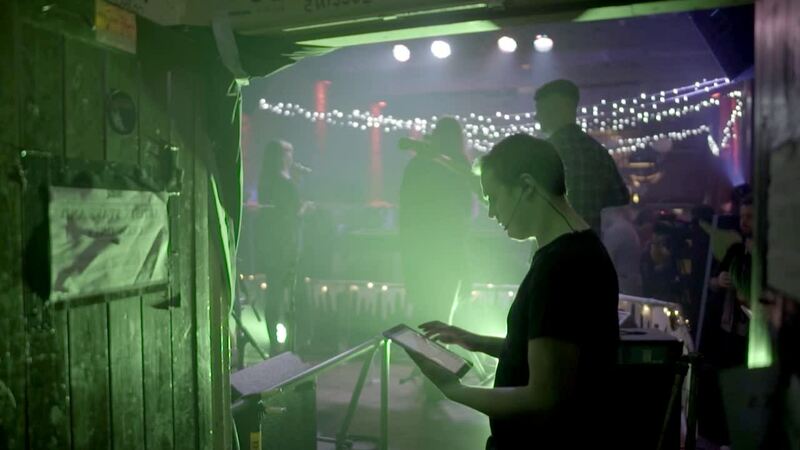 Join Matt as he effortlessly manages a packed-out gig. This is a contemporary music business degree that applies leading-edge technologies and ideas to develop a multi-skilled and entrepreneurial approach to new business, globally and locally. You will learn how to run and manage live music events, create video marketing, build online promotion, and develop and launch music products. You will gain specialist knowledge in music finance, law, arts management, emergent technologies and applied business practice, as well as developing audience and market solutions for music in commercial, civic and social contexts. Our lecturers use their extensive professional networks and experiences to bring you the very latest in current practice. They have worked at the BBC, Sony, Universal Music and Hospital Records, and maintain good working relationships within the sector. Throughout your degree, they will support you to develop the management skills needed to work in the fast-moving and varied music industry. Housed in our modern Media Centre, you will have access to modern studios, media suites and broadcast theatres. You will also work closely with other media students, managing collaborative and large-scale projects such as BBC Introducing sessions. Get Music Business course updates and hear more about studying with us. Benefit from a mixture of practical sessions, lectures, group work and work placements. Assessment is by 96% coursework. Fill in the form below and we'll be in touch with Music Business updates, upcoming events and everything you need to know about university life.